I’ve made allergy friendly custards before, like this one, but I’ve been looking for a plain custard to use with cakes and puddings for desserts. This is version I have come up with – so far I have only made it in my Bellini – so I’m not sure about stove top conversion, sorry. Place 100ml of milk into a measuring jug, add to it the flour and No egg. Whisk well until well combined and smooth. Put the mixing tool (butterfly attachment) in place and in the jug of the thermal cooker place the remaining 400ml of milk, vanilla and sugar (or syrup). Add in the floury milk mix. Tilt the measuring cup on top of the machine so that it is cracked open. Cook for 14 minutes at 100C on Speed 3. For the Vanilla version, add both lots of vanilla at the same time. (Because of the coconut sugar and the lack of egg, the vanilla version is more a brown colour than regular vanilla custard). 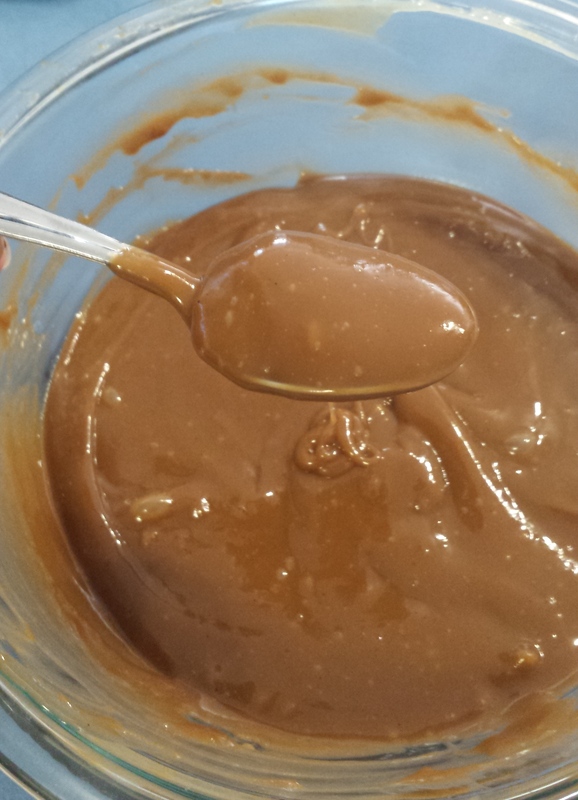 For the Chocolate version, add the chocolate at the end and mix through gently until melted and evenly distributed – speed 3 for about 20 seconds. 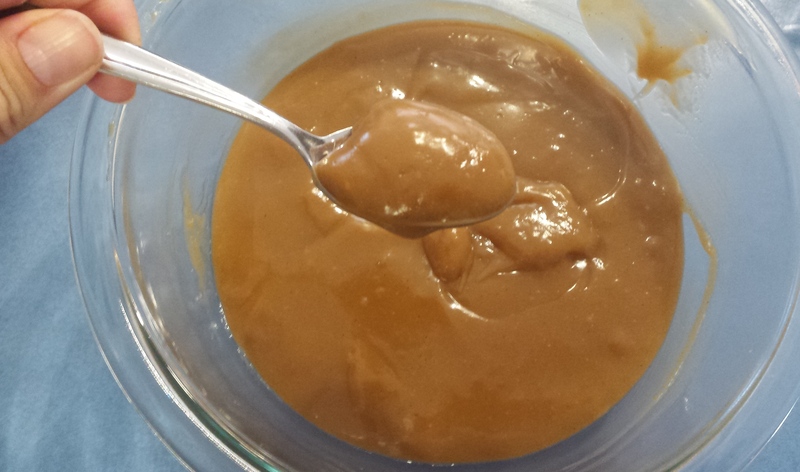 For the salted caramel version, there is a step before adding the milk to the jug: add the salt and agave to the jug then set on speed 4 for about 45 seconds. Add the dates one at a time through the hole in the top onto the spinning blade. Once all dates are added, increased speed to 7 and continue to mix until you have quite a smooth date paste. Then scrape down the sides and put the mixing tool in place and follow the base flavour instructions (omitting the coconut sugar). The mix will thicken further as you let it cool. If you are using a Thermomix instead of a less powerful version of the machine, you may need to adjust the cooking time to a minute or 2 less. Makes enough for our family (2 adults and 4 kids) for dessert.